Tennessee State Soccer Association (TSSA) has entered into a 20-year Agreement for the Richard Siegel Soccer Complex in Murfreesboro. CFC Academy teams are very familiar with this complex as it is the site of State League playoffs and State Cup championship games. CFCA will remain a TSSA member next season so our teams can continue their development and state champion success through the State League system. “The opportunity to enter a public/private partnership to gain top flight fields and turf fields has been a strategic plan of our staff and board for almost three years,” stated TSSA Executive Director Hans Hobson. “We are very excited about the outcome and agreement we reached with the city. Murfreesboro and the middle Tennessee area will become known as a premier destination for soccer events on both a regional and national scale." The formal agreement comes after TSSA voted December 1, 2018, to accept the City of Murfreesboro as the site of its new facility based on a proposal to expand the Siegel Soccer Complex on Cherry Lane. 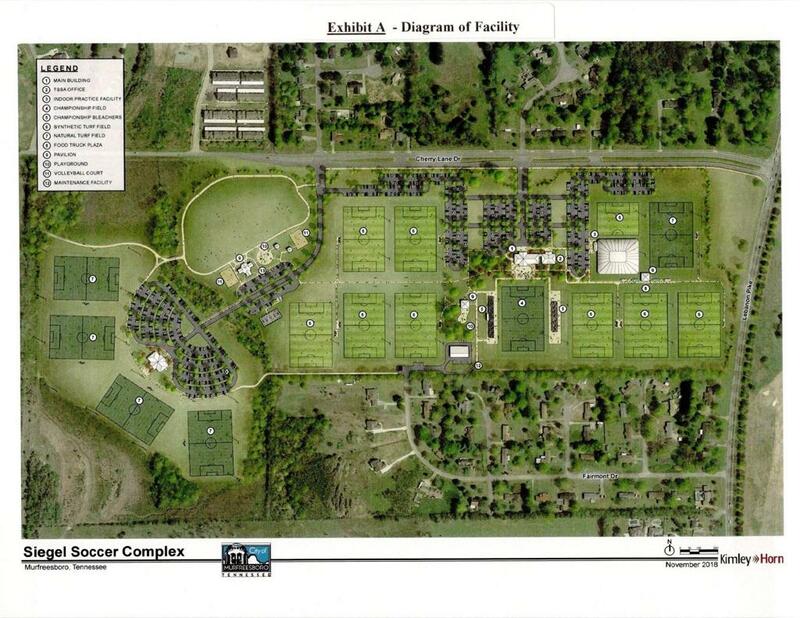 The $14.5 million enhancement of Richard Siegel Soccer Complex will begin this summer. Richard Siegel Soccer Complex and Community Park is a 130-acre complex which plays host to prestigious soccer events, including the Tennessee Soccer State Championships and the TSSAA State Soccer Championships. The complex currently has one lighted stadium field, eight lighted regulation fields and six lighted unit fields as well as pavilions and restroom facilities.